The wealth of new technologies being deployed has left CIOs facing something of an identity crisis. The role of the CIO isn’t what it used to be. Recent technological developments have highlighted an apparent divide between what an organisation wants, and what its IT team is actually able to deliver. Faced with emerging technologies such as robotic process automation (RPA), artificial intelligence (AI), and machine learning (ML), for example, IT teams are now expected to do more, at greater speed. As a result, CIOs have found themselves under increasing pressure to demonstrate their value to their business. Today’s CIOs have the somewhat thankless task of navigating their teams through the complexities of a revamped digital marketplace, ensuring they meet and exceed stakeholders’ expectations, all the while self-teaching how to use a multitude of new technologies. Failure to do so will risk damage to their own personal reputation. 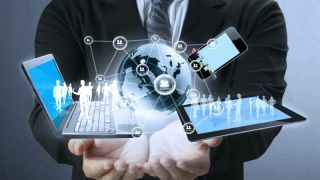 However, as more organisations undertake digital transformation initiatives in a bid to improve operational efficiencies and compete through customer service, the wealth of new technologies being deployed has left CIOs facing something of an identity crisis. While it would be all too easy to see this as a downside to the rapid development of technology, CIOs should instead view this current situation as a chance to remind their peers of the importance of their role, and the value they offer. In today’s digital-first businesses, every member of the C-suite has a say in the choice of technology that is deployed. But it wasn’t too long ago that this was the sole domain of the CIO. Often perceived as innovators, they were responsible for looking to the future, and selecting the technologies that would ensure their organisation always remained one - step ahead of its competitors. Since then, though, the pace at which innovation has evolved has increased, making life more difficult for CIOs. Having been forced to juggle multiple different types of technology, they are no longer able to innovate to the extent to which they once did. What’s more, the introduction of chief digital officers and digital transformation officers has fundamentally altered the primary responsibilities of the CIO, who are increasingly charged with managing more ‘back office’ IT concerns. These new appointments are now viewed as being indispensable to a business, and this has resulted in a shift in the way the CIO’s role is perceived. If you look closely at the hierarchy of a company, especially at board level, this shift in perception is obvious. Whereas a CIO would once enjoy their own seat at the board table, with clearly delineated reporting lines, they are now one step removed, and are often required to report to the CFO or even, in some cases, to the chief digital officer. Dramatic as it might appear, this shift didn’t take place overnight. Indeed, CIOs have been forced to contend with a range of challenges for some time now. Many IT teams still work in silos, for example, often requiring the involvement of several different departments in order to deliver a full service. A great deal of a CIO’s time can be spent on managing such an arrangement, and ensuring that everyone involved has an equal say. What’s more, a lot of the people that make up these teams may simply not be sufficiently skilled or have the attitude needed to drive the organisation forward. Innovation requires a certain kind of mind-set, after all, and if all an employee wants to do is continue carrying out the same day-to-day tasks, they’re unlikely to innovate. It’s important too that everyone involved has a thorough understanding of the full technology set. Without this, CIOs will find it hard to justify when projects aren’t completed on time, or when the deployment of particular platforms and tools don’t go to plan. Hype can be hugely problematic here, with the promises of vendors often raising the expectations of the board to unrealistic levels. Ultimately, of course, it will reflect badly on a CIO If an application or solution is seen to be underperforming against what’s expected of it. Probably the biggest obstacle currently faced by CIOs, though, is the sheer speed at which technology is evolving. Without experience of using the latest cloud platform or AI-based analytics solution, for example, a CIO will be unable to deliver on its full potential. And without an appropriately skilled and innovative team, they can find themselves stuck in a hamster wheel, forever playing catch up. But it needn’t be all doom and gloom. It’s entirely possible for CIOs to revive their status as an organisation’s prime strategic innovator. The secret to reviving a CIO’s reputation lies in their ability to identify and encourage innovators. Ownership is everything. A CIO will typically delegate the responsibility for a task or a problem to their IT team. But this approach won’t work with innovation. While they don’t have to do everything themselves, they do need to keep on top of it. Without owning it, it’s impossible to innovate. To escape from the hamster wheel on which they’re currently trapped, CIOs must therefore identify that small band of rock stars within their team who have the skills and, most importantly, the attitude needed for innovation. Once these people have been identified, they must be given the automation tools they need to release them from the weight of mundane tasks under which they’re drowning. By freeing up their time in this way, they will be more motivated to continue innovating. Then, having created a powerful and impactful team, it’s important for the CIO to remain close. As a result, once the team’s efforts are seen and appreciated by the rest of the organisation, the way in which the CIO is perceived will change for the better. Ultimately, successfully revitalising the role of the CIO comes down to a matter of skills and attitudes. By facilitating the right mind-set, CIOs can encourage innovation and a willingness to upskill, and be recognised for doing so. Changing attitudes is never easy though, and will require support throughout the entire organisation. Once the board and other associated stakeholders have seen the benefits of this change in terms of what the IT team is able to deliver, this support should be forthcoming, and the CIO’s importance to the business re-established.